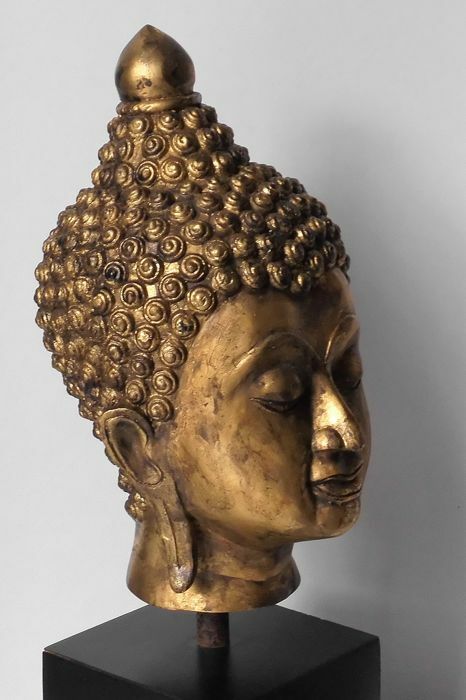 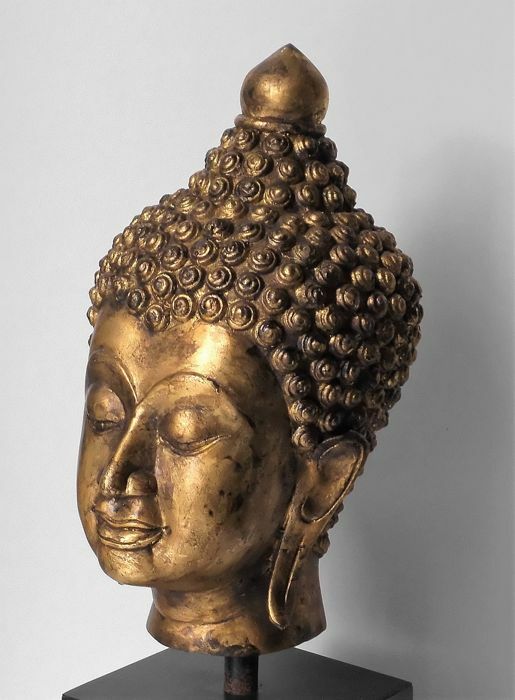 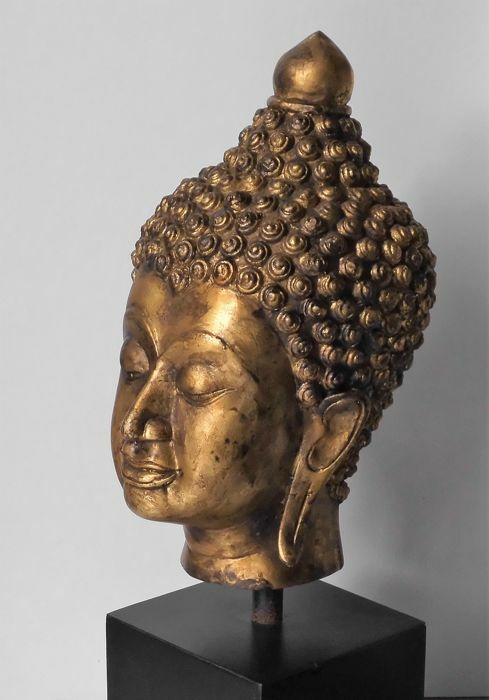 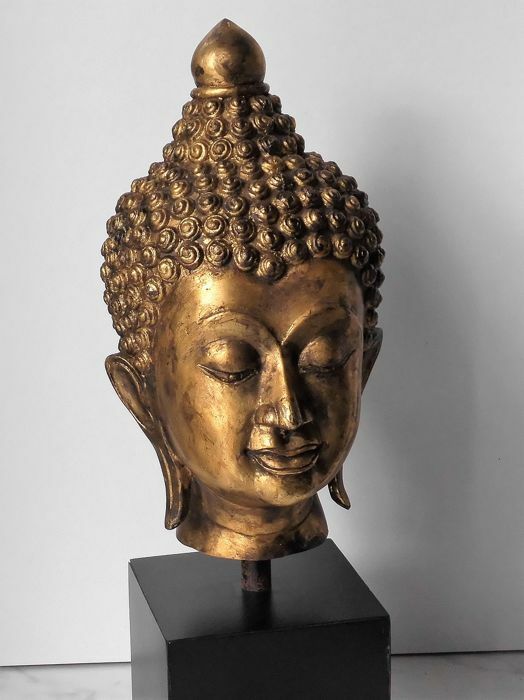 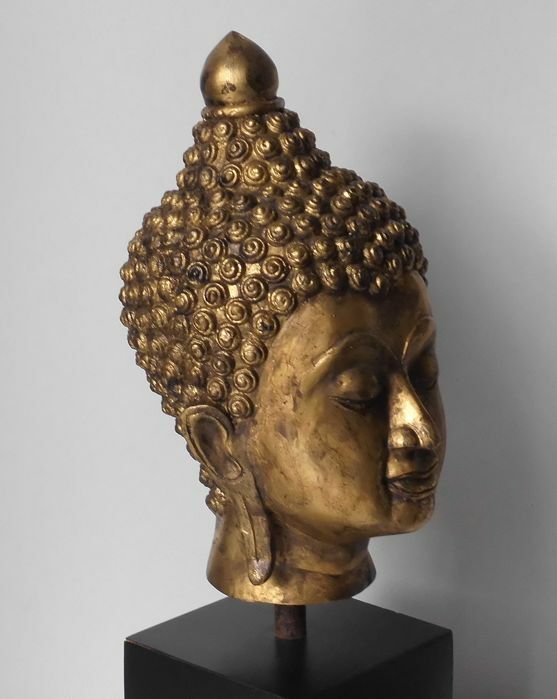 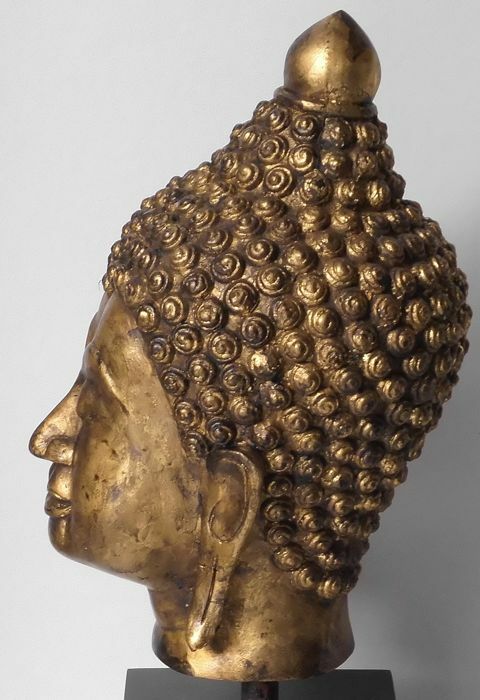 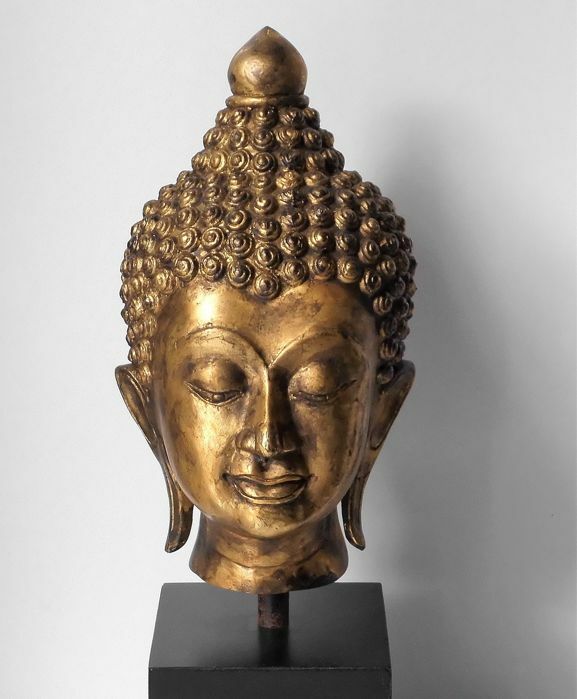 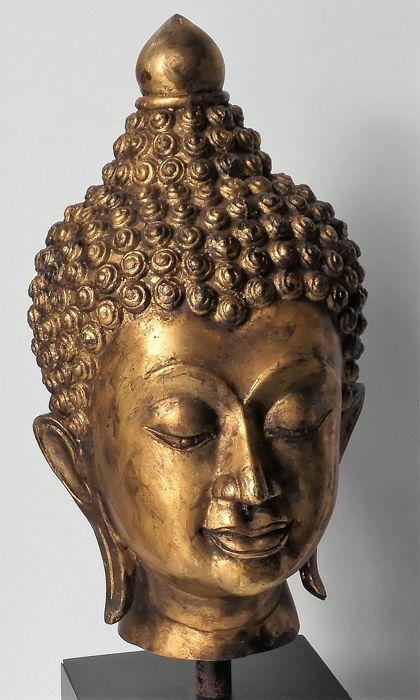 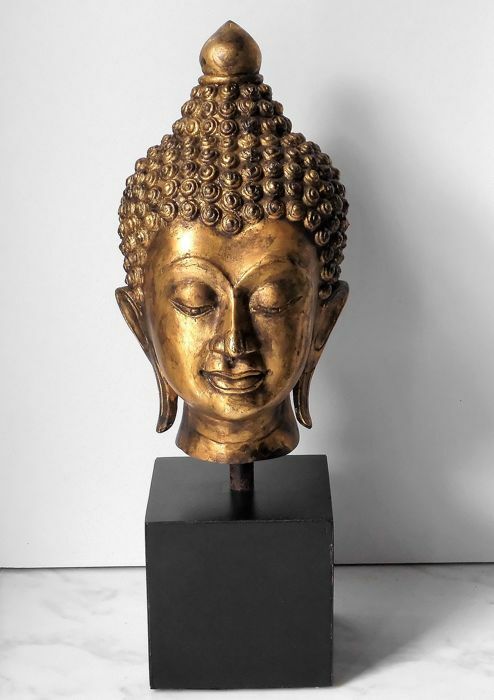 Beautiful bronze Buddha head on a gold-plated gold leaf base. 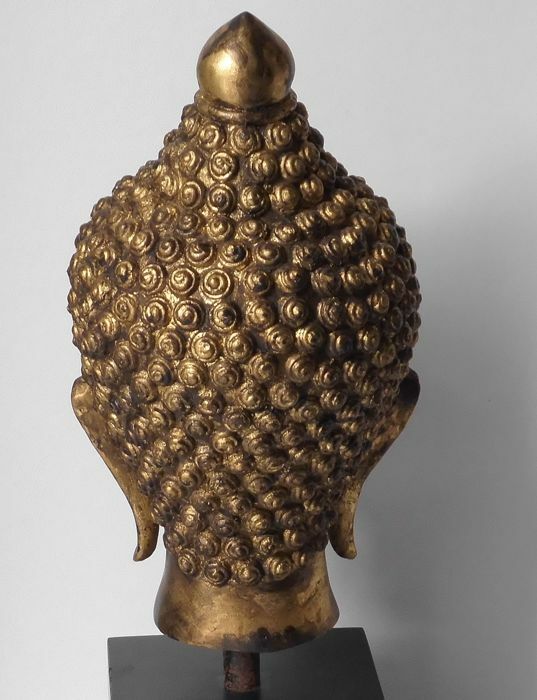 2nd half 20th century. 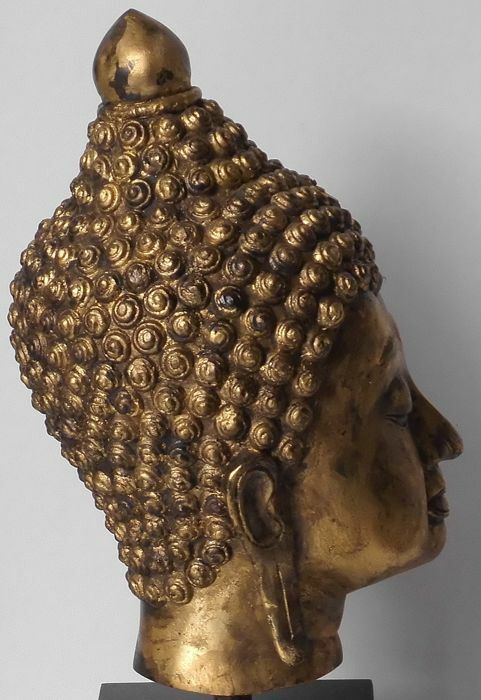 Origin: Thailand. 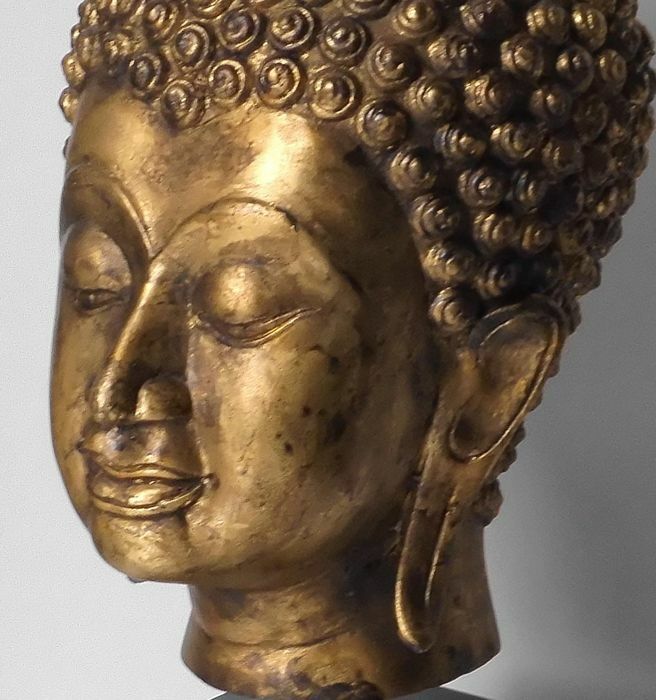 Condition: very good, some minor damage and wear of the gold plating, but otherwise completely pristine. 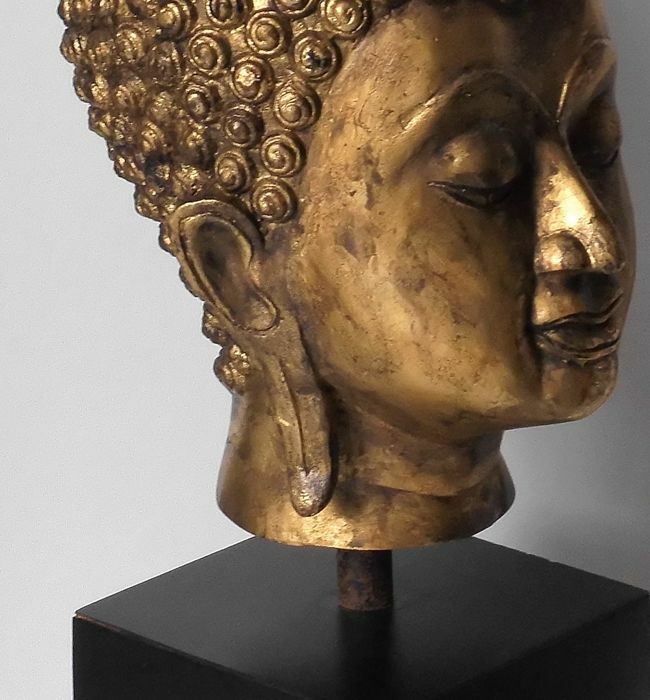 In particular these signs of wear give this image a characteristic and antique appearance. 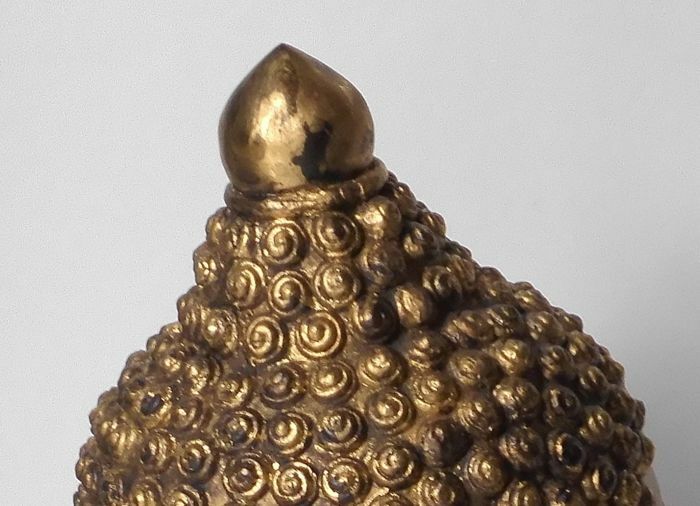 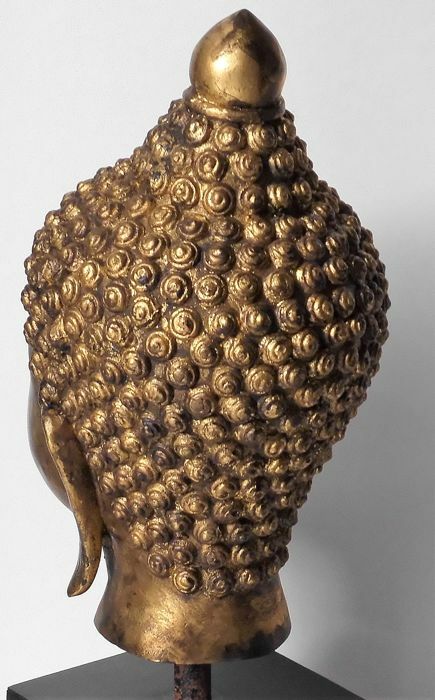 The head is hollow on the inside and rests on a pin which is connected to the base. 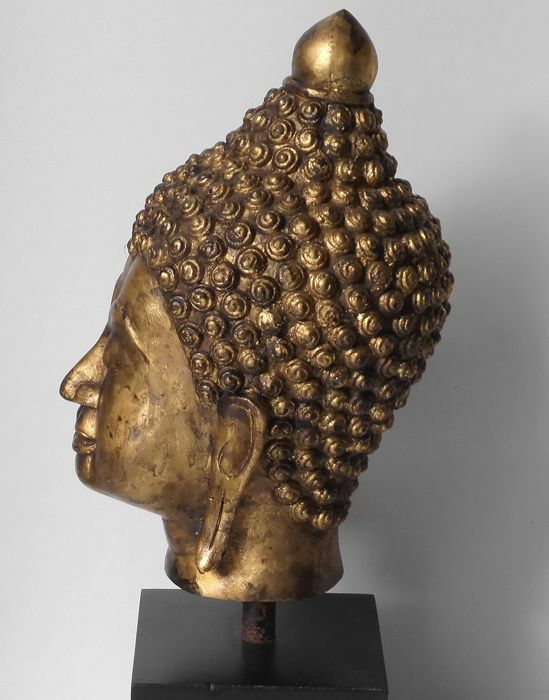 Will be well-packaged and shipped by registered post by PostNL, with a tracking code.